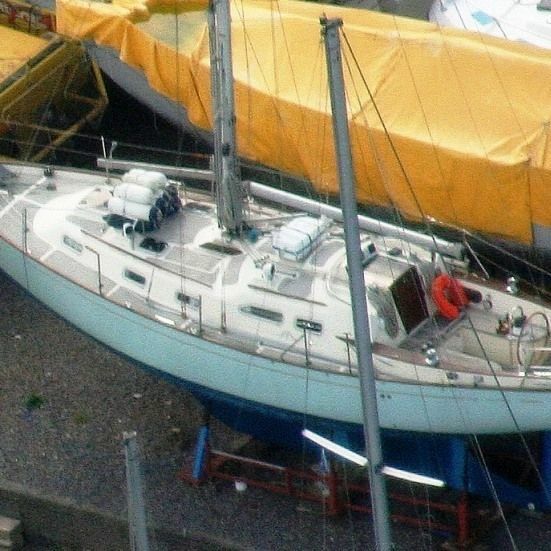 A true, well proven classic, the Vancouver 34 by Northshore Yachts has been a very popular model for both family cruising and serious, long distance passage making. 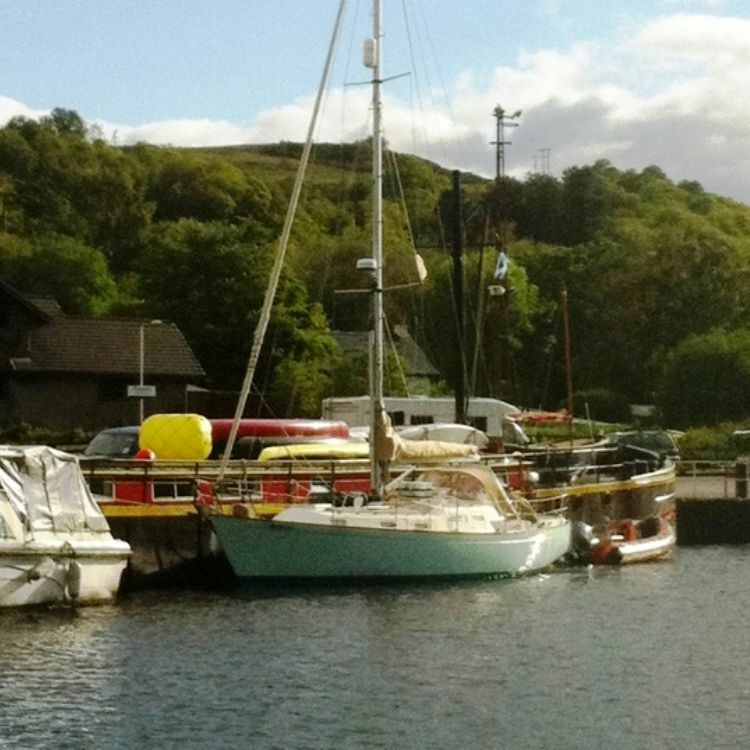 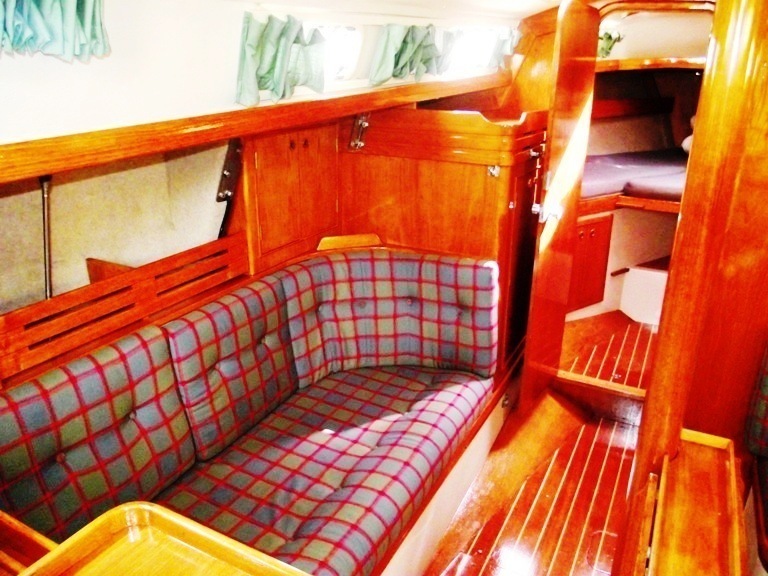 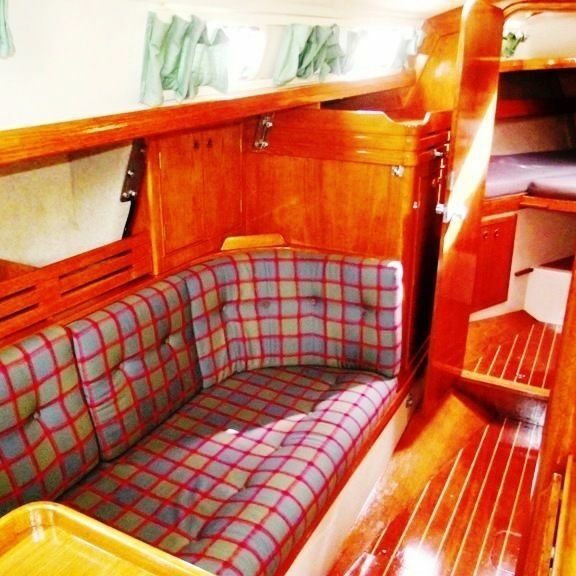 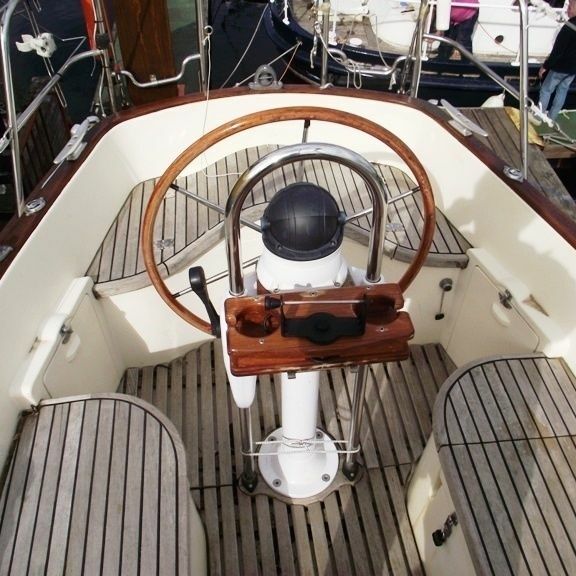 The current owner has specified the boat very highly, has sailed the boat extensively in Scotland. 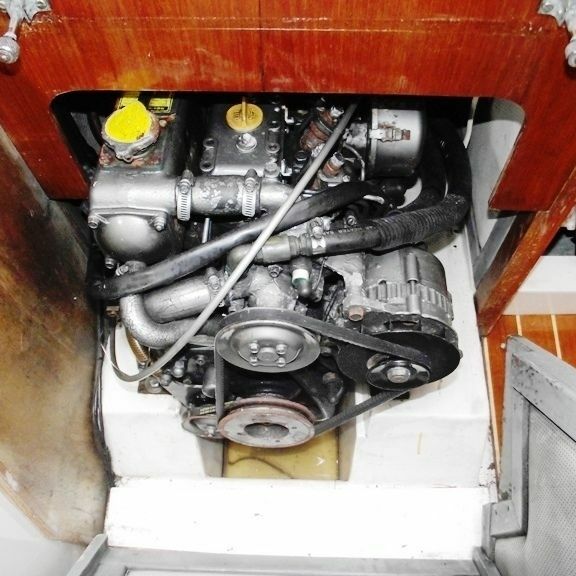 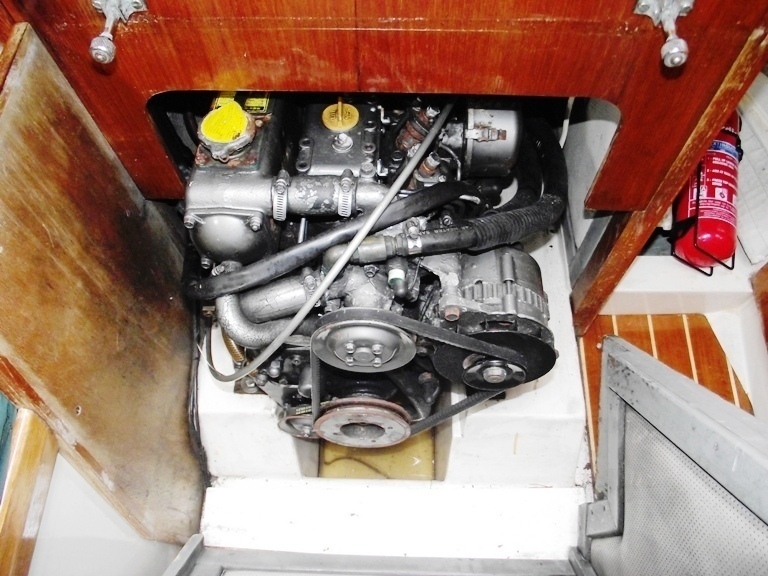 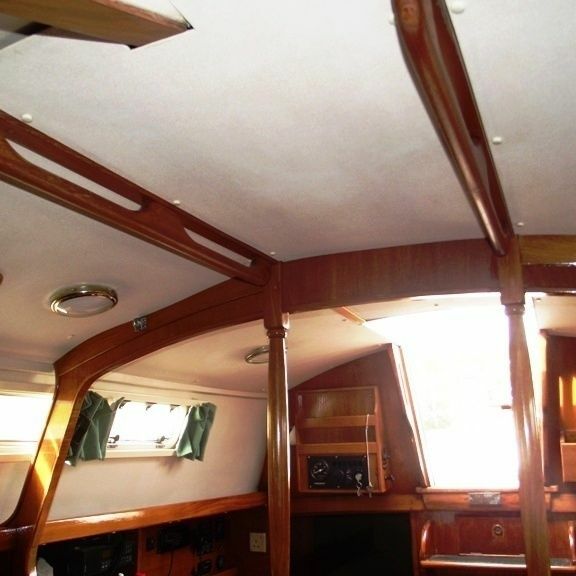 The boat has been beautifully maintained and represents excellent value for money. 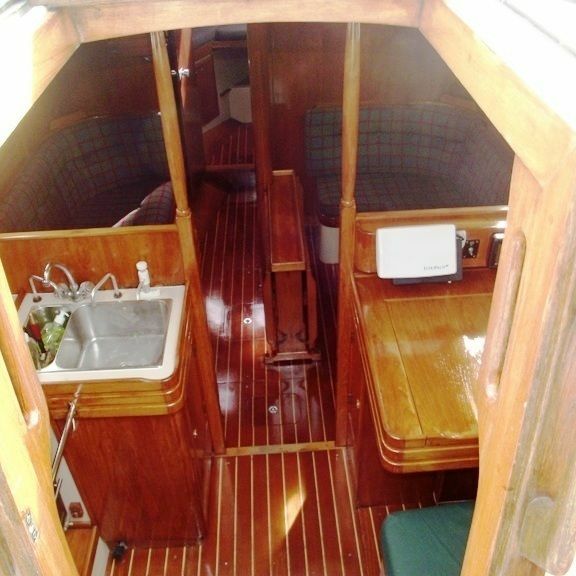 All Windows replaced, and re-varnished interior woodwork! 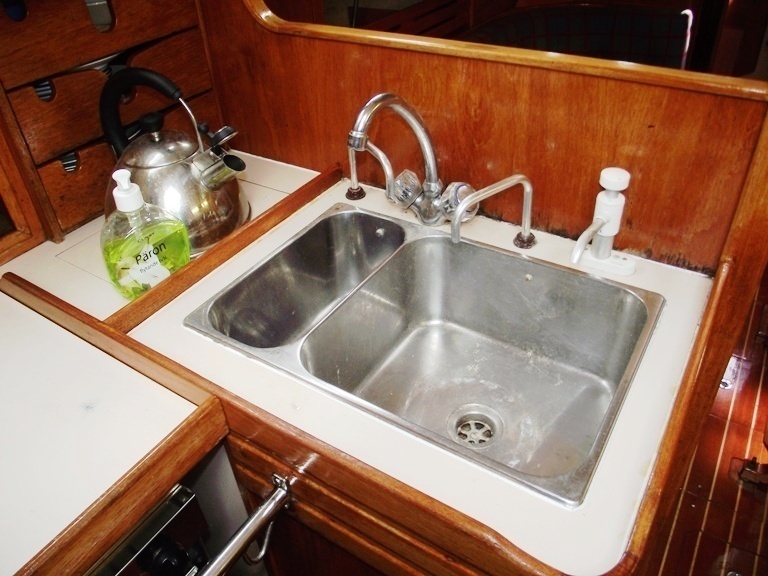 Anodised aluminium twin spreader mast, boom. 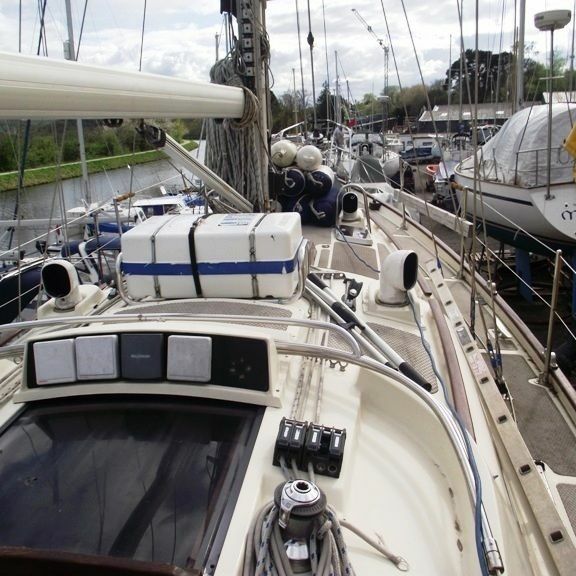 Furling headsail with furling Genoa - new 2010. 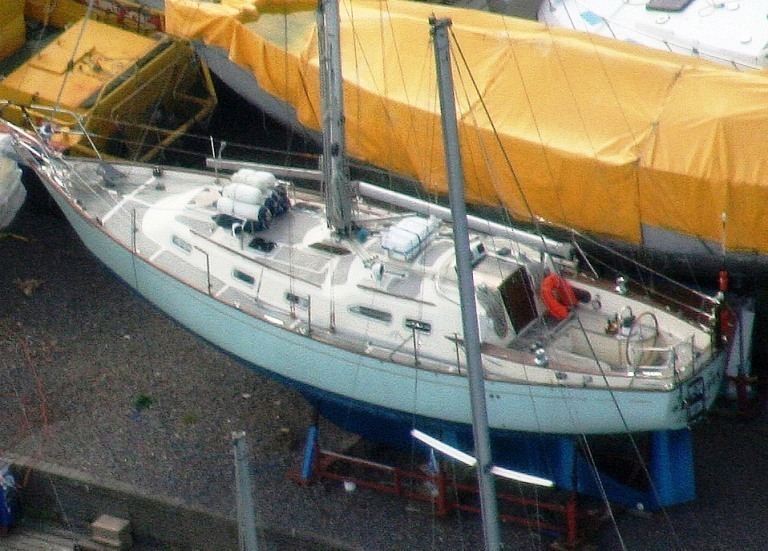 S.S. rigging - new 2010. 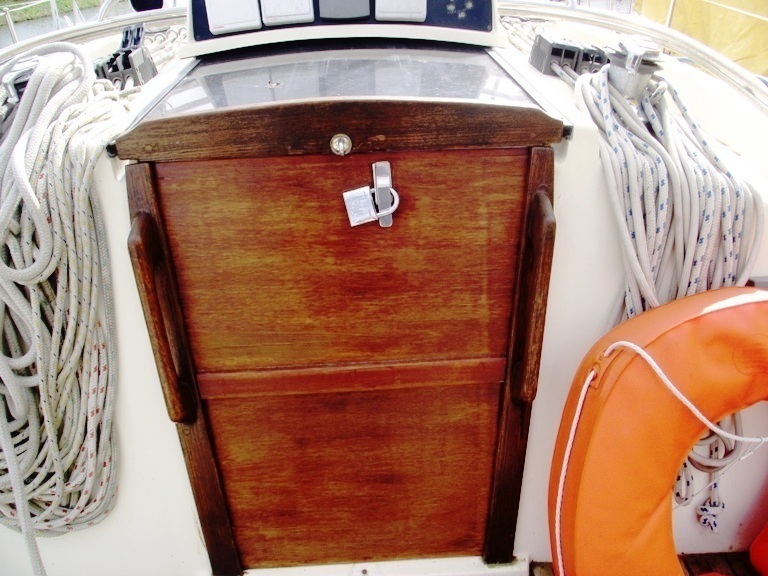 Slab reefed mainsail (new 2010 with stackpack) with all lines led aft, Separate hank on Inner Forestay. 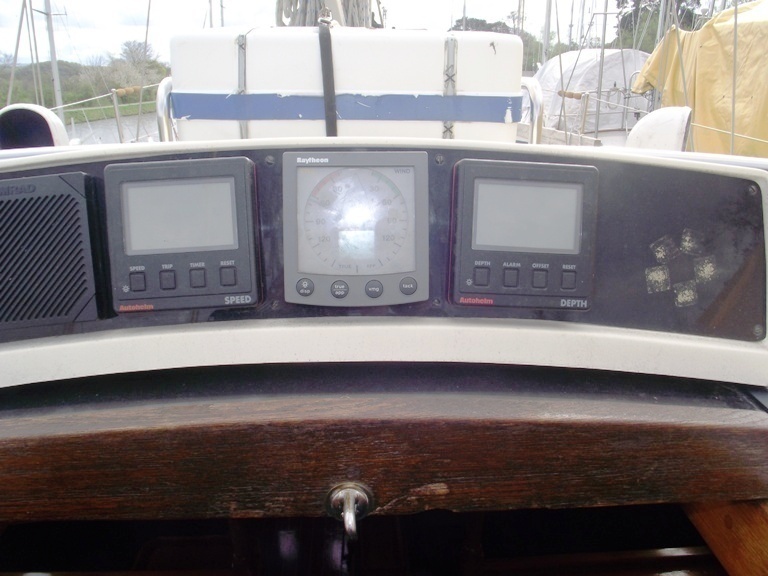 Rod kicker. 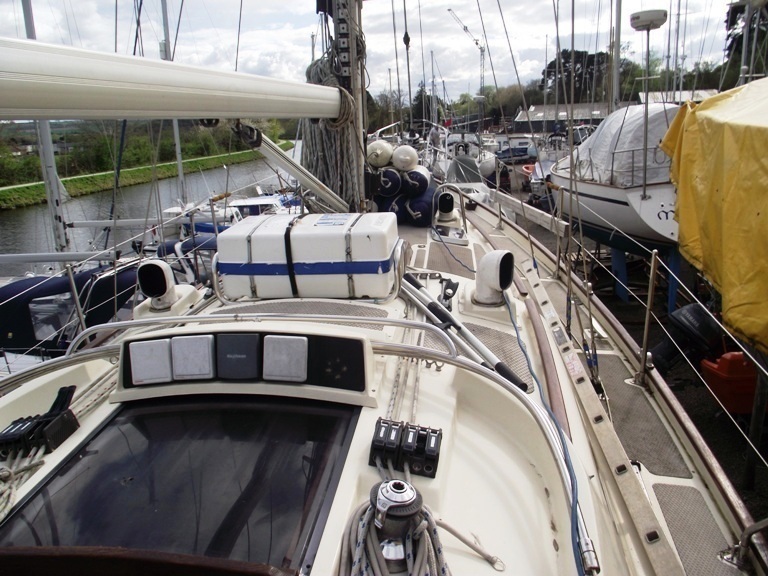 Lines thru rope clutches to 2x Lewmar ST halyard winches. 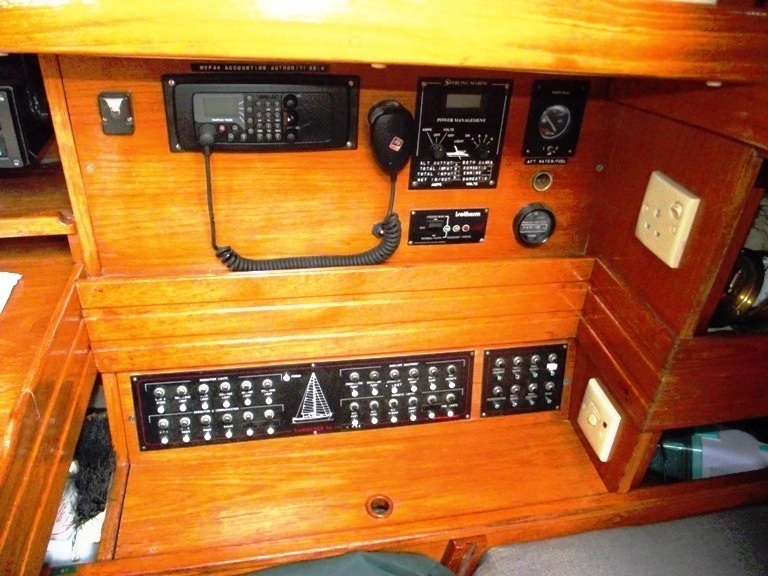 2x Lewmar ST primary winches with full length Genoa tracks and cars. 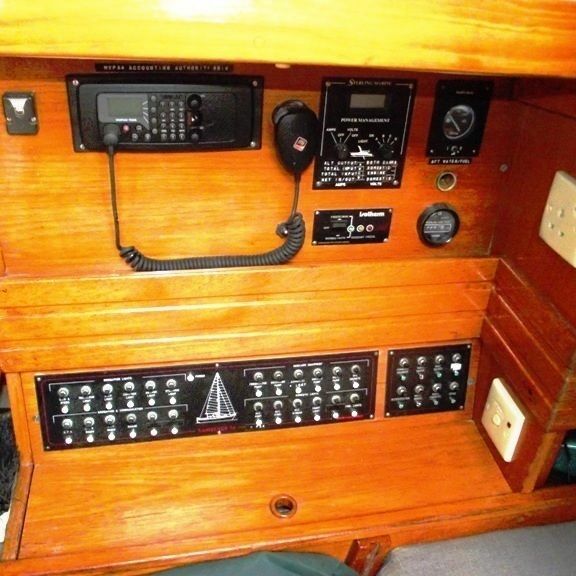 S.s. pushpit, pulpit, guardwires & gates, stanchions. 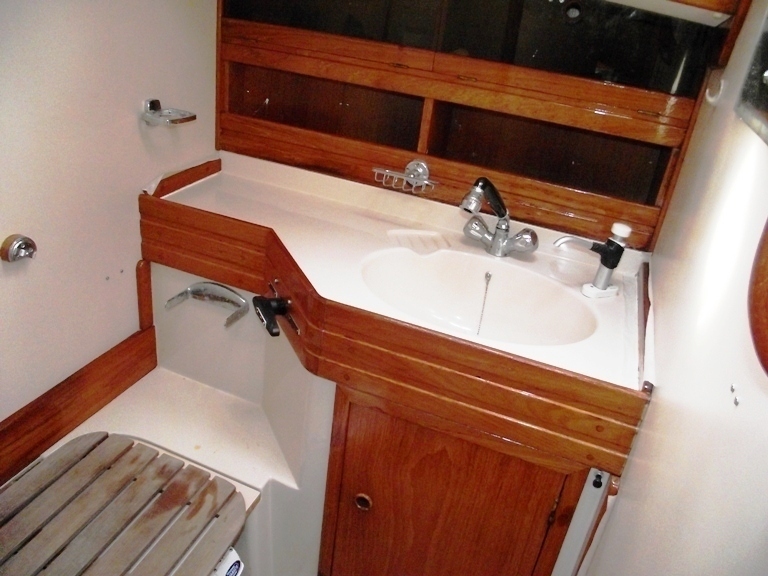 Hull finished in GRP with raised bulwark and non-slip panels. 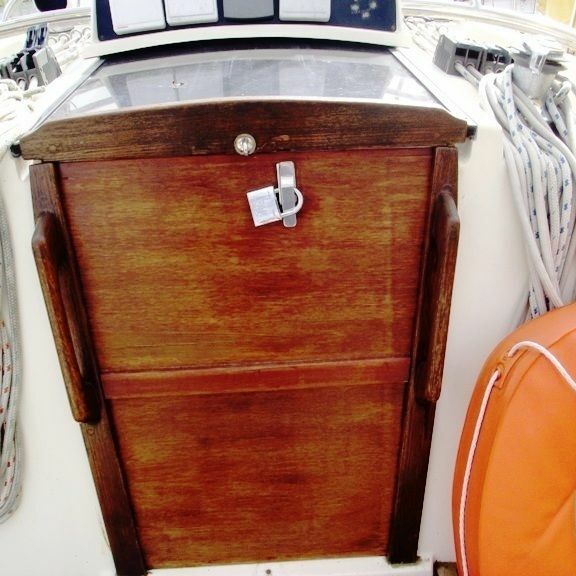 Fwd & saloon opening hatches, various side hatches in coachroof. 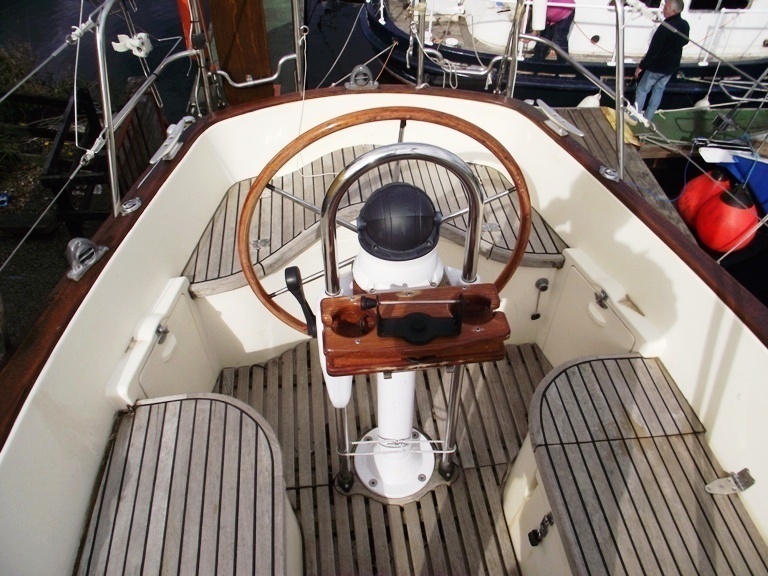 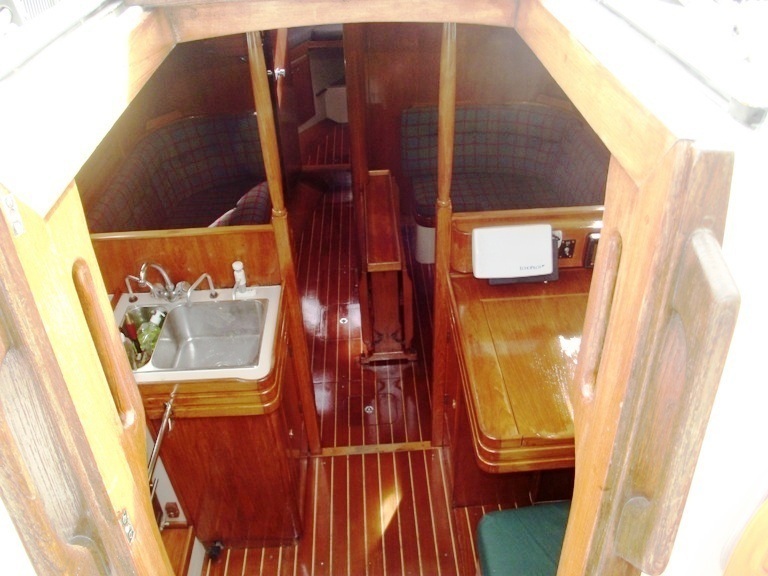 T-shaped cockpit laid to teak, wheel & binnacle with integrated engine control, instruments over companionway garage, acrylic sliding hatch, 2x wooden washboards with lock. 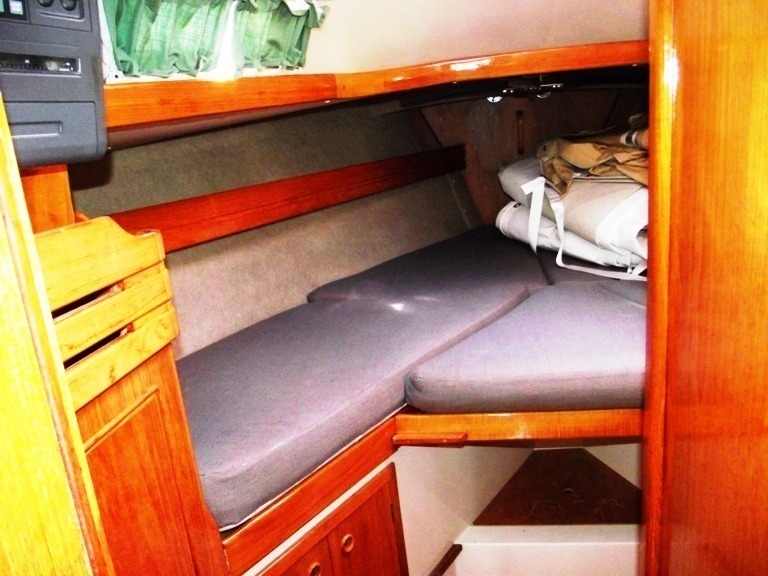 Saloon starboardside U-shaped sette, could convert to double berth, portside single settee or berth with backrest for additional storage behind,upholstery check draylon, curtains, 12v lighting throughout. 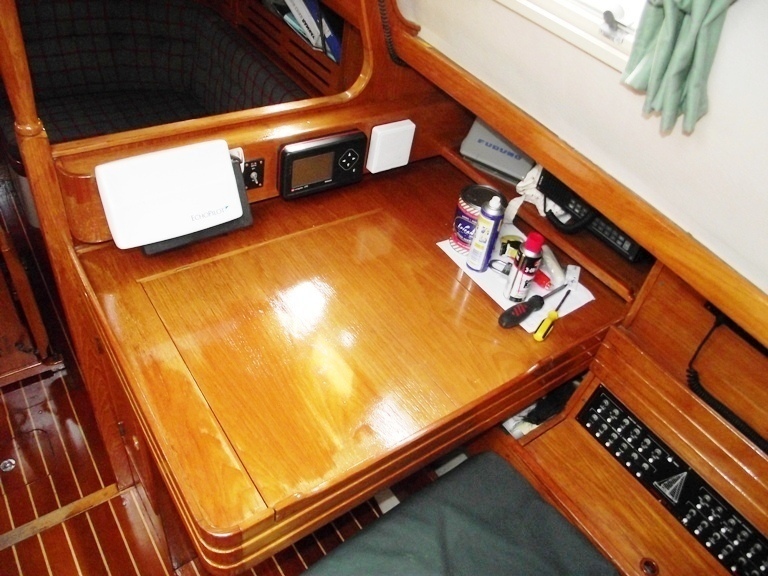 Open shelf storage, centreline saloon table with 2 fold down leaves. 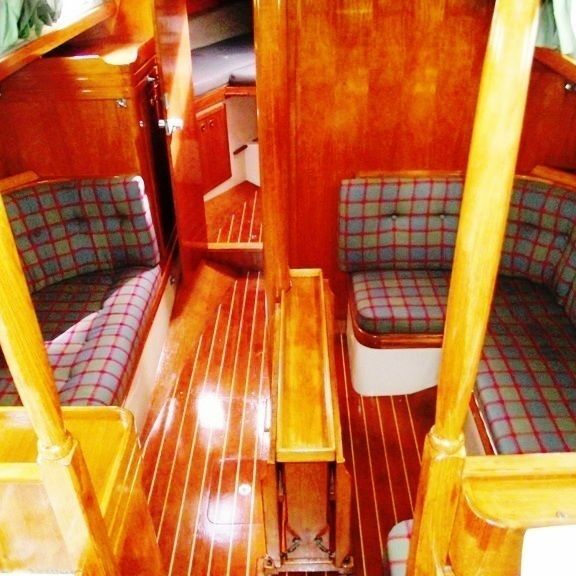 Teak & holly cabin sole. 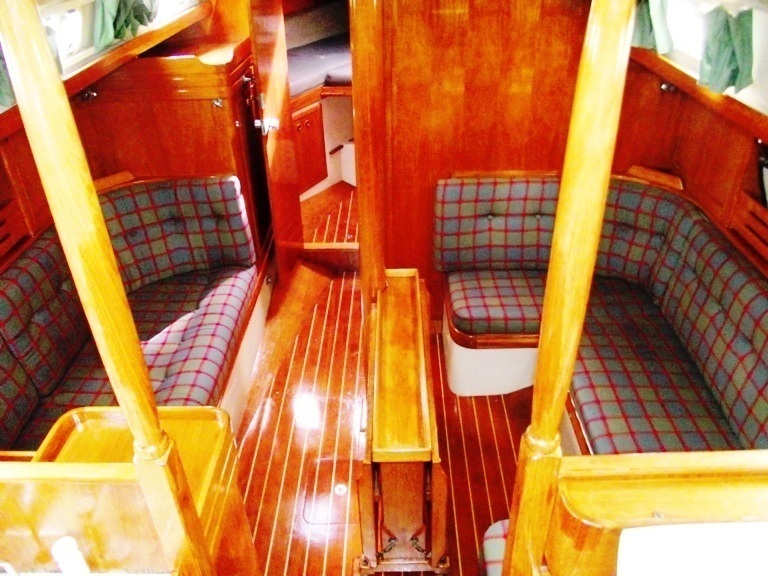 All woodwork has been re-varnished to a very high standard. 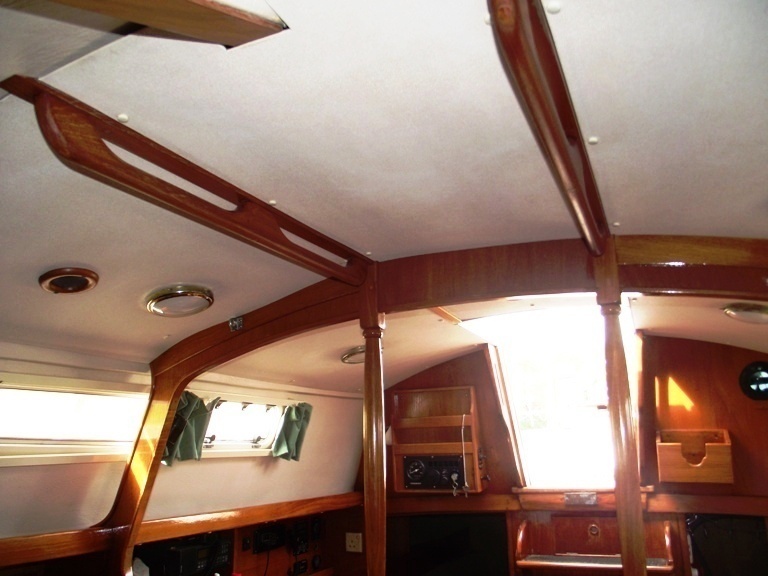 Vinyl ceiling teak grabrails throughout. 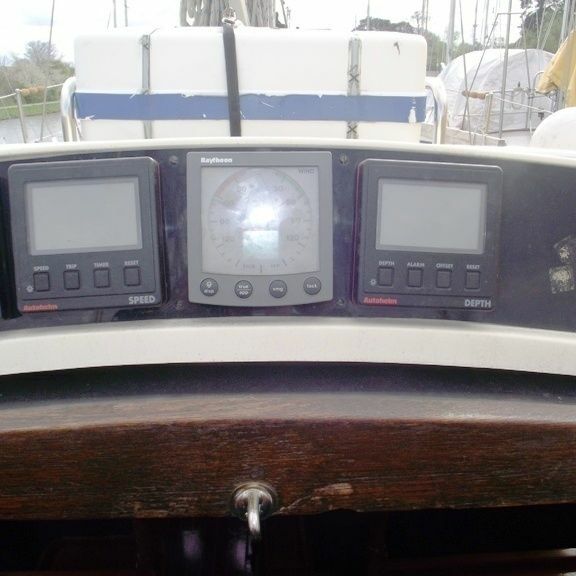 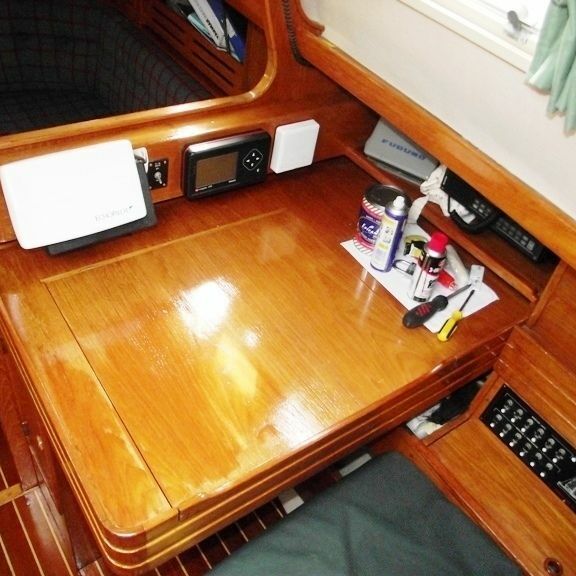 Starboardside forward facing chart table with helmsman seat and storage below, nav area with instrumentation. 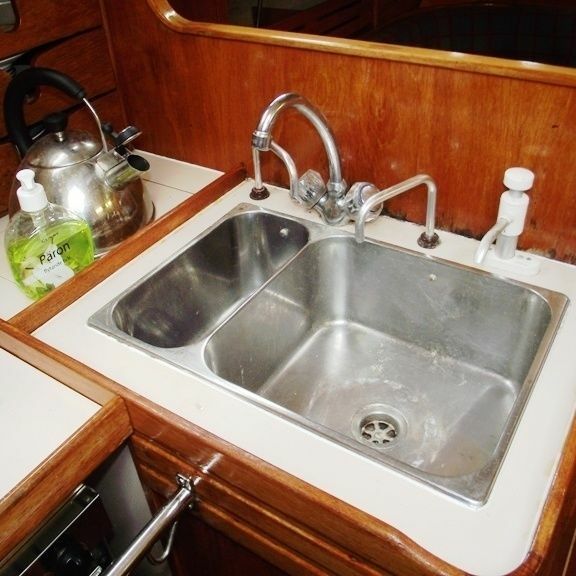 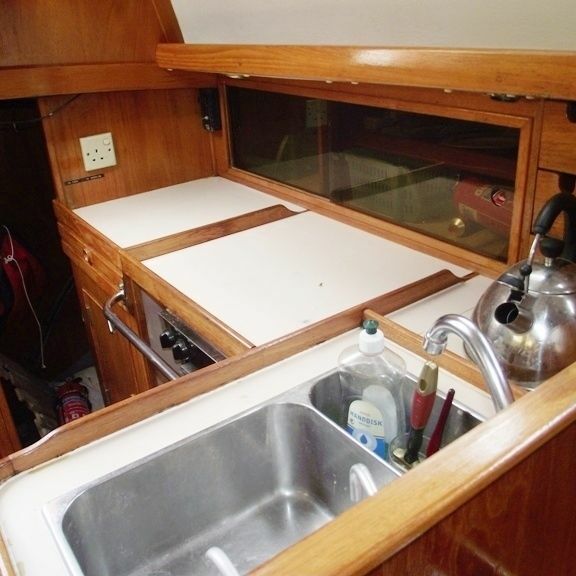 Portside L-shaped galley with twin s.s. sinks, worktops, fully gimballed cooker, drawers & cupboards, outboard cupboard. 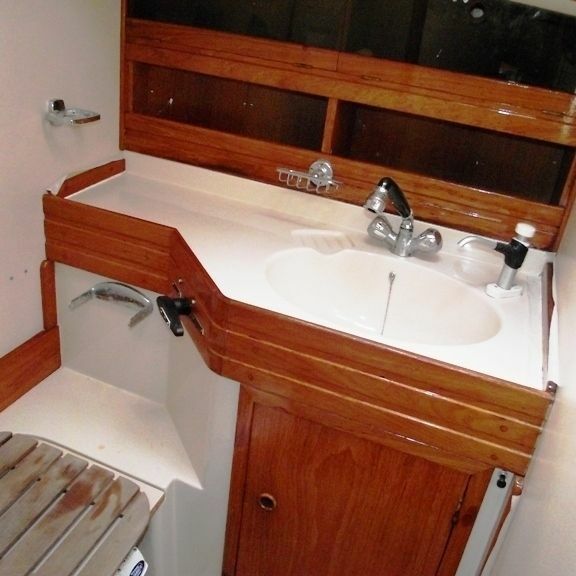 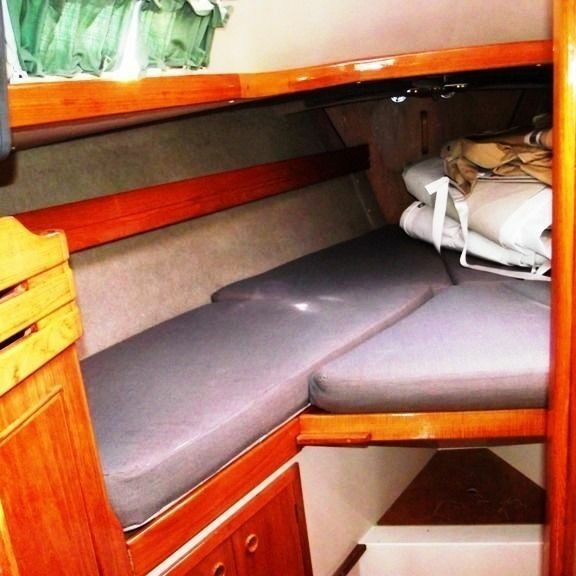 Starboardside aft quarter berth with open shelf storage lockers. 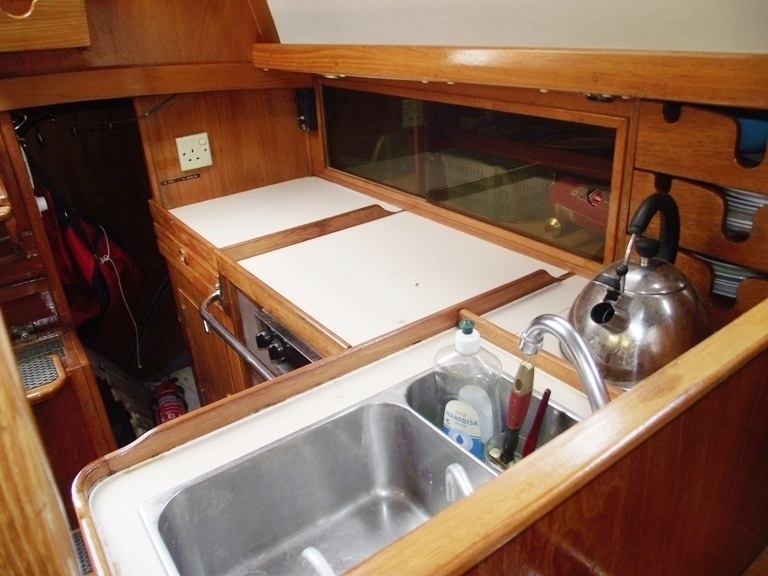 Companionway steps with removable for engine access.